N2044C and N2766Y are just two of the unsung heroes of Hollywood. From moving the crew around on locations, filming the stars from above to actually starring on the big screen them selves in the 80's and 90's. But they appear to have an interesting kinda history we are attempting to explore. 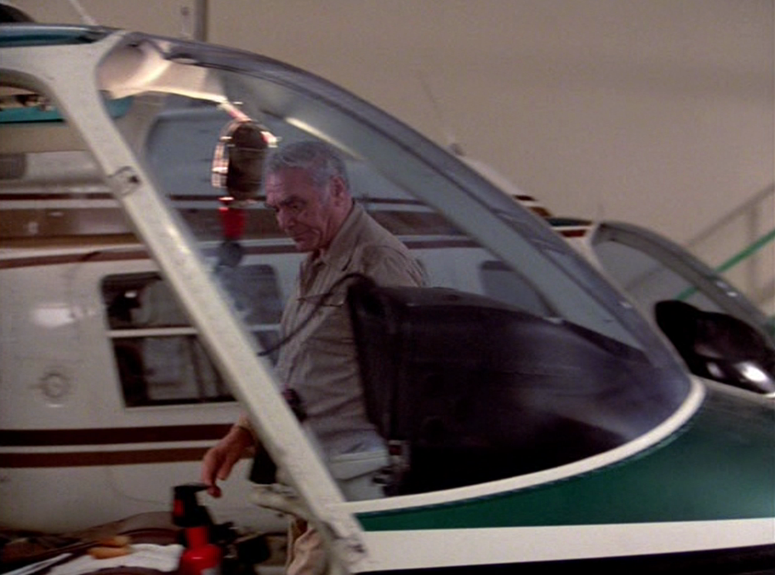 Most airwolf fans will remember N2044C as doms Santini Air JetRanger which was used throughout season 1 to 3 on the airwolf tv series, both on screen and off screen for filming. 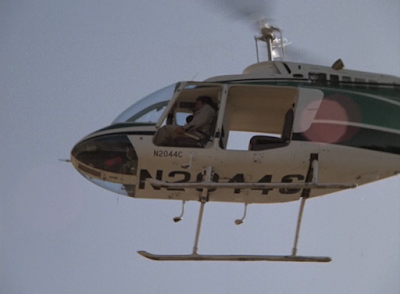 Season 4 did not use N2044C and in turn used a different helicopter painted up to look like it. Though clearly they also had access to the 1 to 3 seasons worth of footage, i would guess the stars on the tail will be a dead give away to what is season 1-3 film stock and what is the season 4 variant. It often has confused and conflicting listings on many helicopter information sites about tv / film use and gets mixed up with this one, seen in airwolf "one way express" and other tv shows. Who ever owned N2766Y must have made some money with it once N2044C got the santini air paint job in the later months of 1983. I'm unsure if they ever thought about this when they painted N2044C up as "Santini Air" but I'm surprised they did not realise the S.A paint job removed N2044C ability to be used for other shots to tie in with any similar Ariel footage. 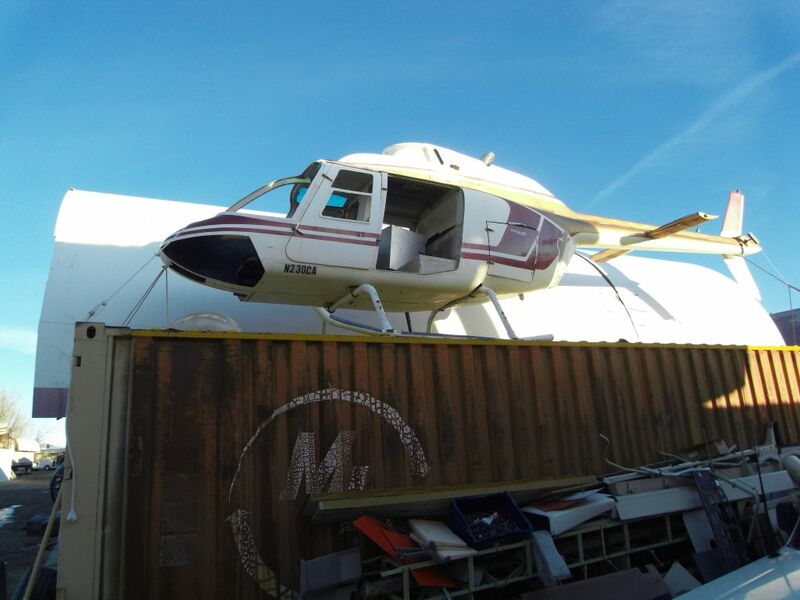 In turn making all the footage of it already owned by studios pretty much useless, that is unless they hired the owner of N2766Y to get other scenes to tie in, or would be forced to use peel paint on another chopper. Another misc airwolf link in that A-Team 2x01 episode is it features Michael Halsey who played Peter MacGregor Moore on Airwolfs "Echoes from the Past" and also later he starred as Dunkirk in Airwolfs "HX-1". It was also often stated on a heli list films site that N2044C was visually used on season 3 episode 1 of "The Fall Guy" Devil's Island release date 1983 (that is not true) You can plainly see in the fall guy that the number is N2766Y and not N2044C. I have yet to find an image from that episode though, so i have no idea if that is true. 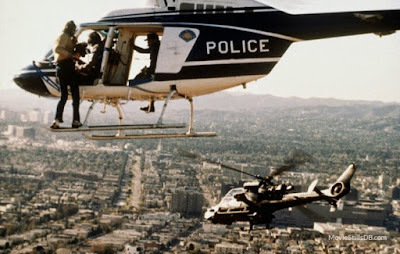 It is also said that it was visually seen on a film called "Blue Thunder" from 1983 but had police markings (is this really N2044C) ?? Along with a second Police 206 with no spotlight N23OCA (they also had another 206, white with a brown trim) Which could be what you can see in the one way express image above "behind dom while dom is working on N2766Y"
But did santinis jet ranger chase blue thunder along the L.A viaduct... ? So N2044C is their in the list, but i think it was mainly used for filming and only painted up just in case any of the other mounted cameras catch it in shot. The question is did you ever spot anything else similar within that a-team episode that would also help make it possible to use the Helicopter footage from airwolfs "one way express" along with this a-team "Diamonds 'n' Dust" helicopter footage and its appearances in the fall guy in a 4th production ? Chances are if your wearing one of them jackets its because your stunt doubles going up in a helicopter or riding in a jeep that is going to flip over. They use peel paint a lot in hollywood not only to disguise how it looks but also to help it match the role of another helicopter which footage already exists for from previous film or tv productions. They often also have the actors wear similar clothes too so any other distant camera footage can also be used in other productions. With peel paint that can pretty much be made to match any 206 Ariel film stock, swung around by a crane. 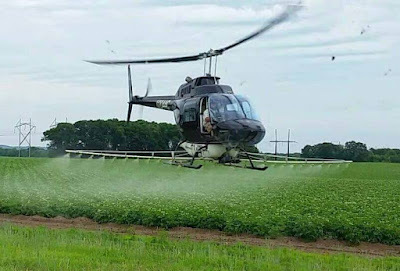 Certainly a hell of a lot cheaper than the price of fuel & you could lift from just the air frame to get below side shots and tie into stock footage. peel paint is a quick way to change the look. 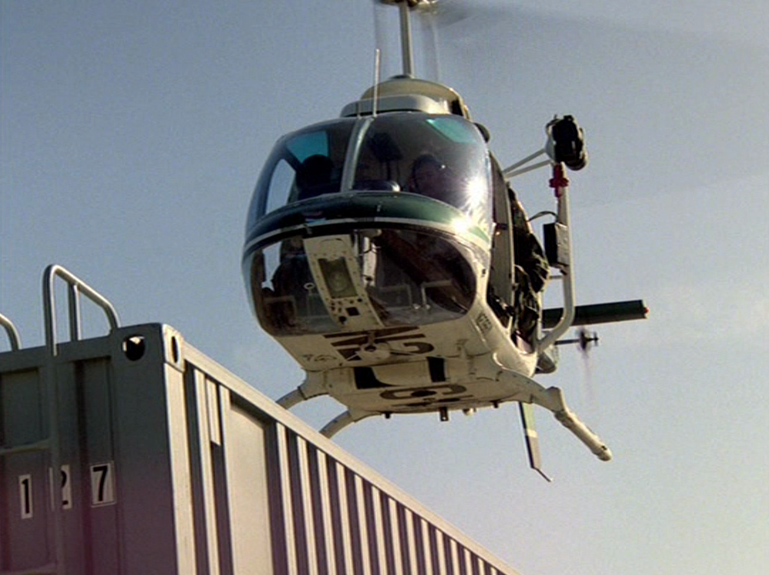 That one strapped to the container has a fairly impressive "On Screen" presence regardless of its off screen camera work with movies and tv including but not limited to the following list. 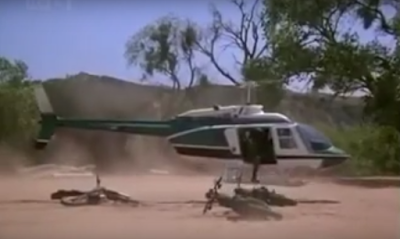 Commando, US Army colours; false registration O-258GB, General Kirby arrives in this helicopter at the beginning of the film. 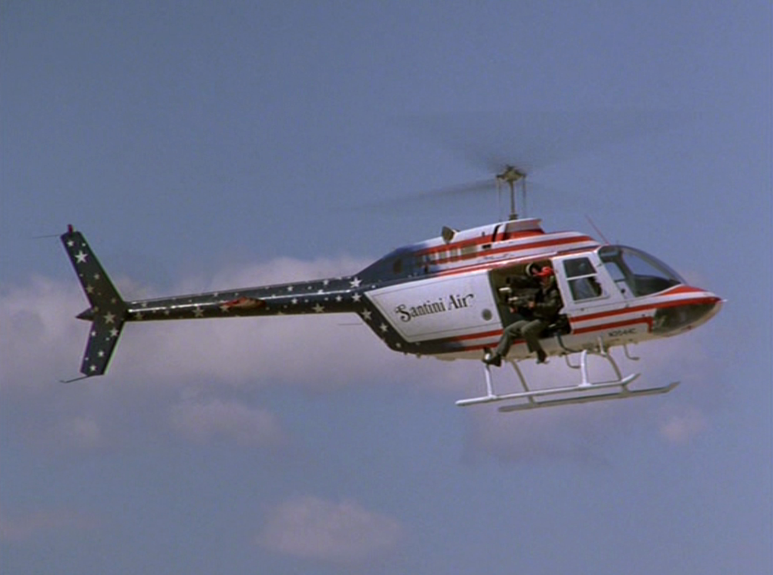 Darkman II: The Return of Durant, Strack Industries livery. Ghost Warrior, False LAPD livery. It's tail number as of February 2017 is now attached to a 4 seater fixed wing plane. The original N230CA will no doubt carry on being filmed from one side & dragged through tunnels and across the floor on the other side for many years to come. 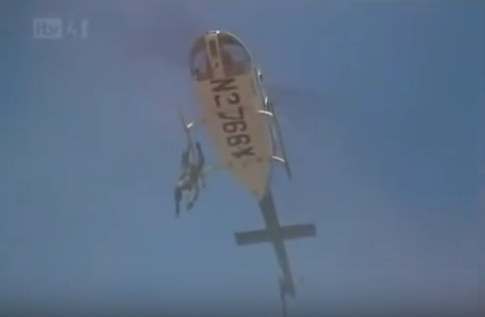 So what happened to dominics N2044C and that N2766Y (which you may noticed N2766Y is almost always filmed from Below in things meaning it was often probably the only helicopter on set) ? We'll we are unsure about N2766Y, but we know doms N2044C was seen wearing the Fox News channel colours and being used for traffic reports and other news stories. As of 2017 it is now used for agricultural work such as crop spraying.